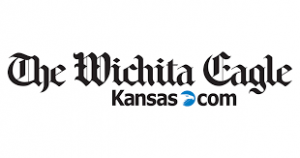 The Cancer Center of Kansas has been featured in an article by The Wichita Eagle and Kansas.com for it’s collaboration at Via Christi for cancer services (full story link available below). Wichita has been described as being on the forefront of cancer care recognizably due to the collaboration occurring throughout the city. Bringing the best care possible to patients takes a team and within this team is CCK, Via Christi Cancer Institute and Via Christi Cancer Center. Through continuous collaboration the three separate entities are able to bring much more to the table. Together they offer medical oncology services, inpatient services, outpatient rehabilitation and radiation therapy. Wichita has one of the 44 National Cancer Institutes’s Community Oncology Research Program (NCORP) in the nation. Furthermore, CCK is part of the Wichita NCORP being 1 of only 44 cancer research programs in the nation that is currently funded by the NCI. We are so proud to be a part of the partnership that makes Wichita’s cancer care admirable. Our mission is to provide personalized, quality and innovative cancer care to patients and collaboration is part of this. For the original, full story click here.